Meeting environmental legislation head-on, our range of knitted wire air/oil separator elements and oil filler cap engine breathers are perfect for the automotive industry. Meeting the latest environmental standards, KnitMesh Technologies produces a range of knitted wire air/oil separator elements and oil filler cap breathers for use in automotive, marine and other applications. 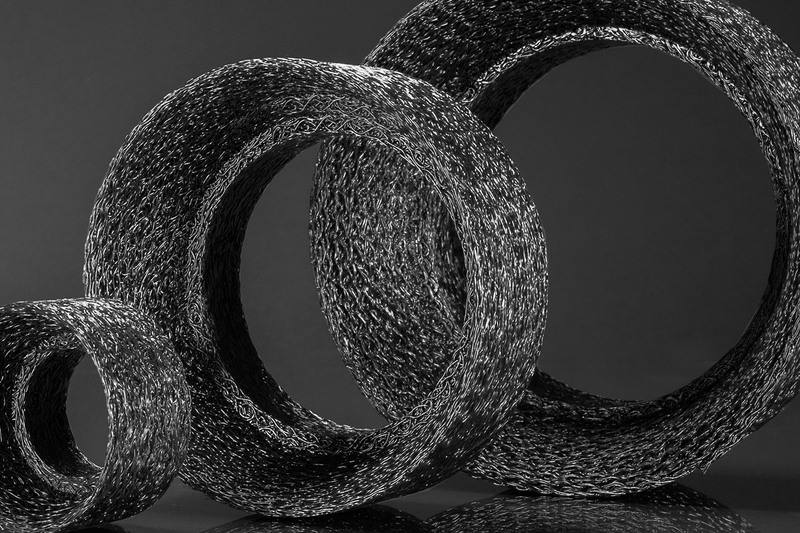 KnitMesh Technologies has over 40 years’ experience in the manufacture of knitted wire breather elements. Environmental legislation is placing considerable demands on internal combustion engine manufacturers to reduce emissions from crankcase breather systems and this is where fitting a KnitMesh breather can prove a considerable advantage. Typical efficiencies of 99% removal of all oil droplets between 3 and 10 microns are achievable, coupled to a low pressure drop of often less than 5 millibar. Breather elements are normally manufactured from high quality galvanised steel, with other materials – such as stainless steel – available if enhanced corrosion and temperature resistance is required.